So, did anything happen yesterday? I was watching the press exhibition by embattled Governor Northam and thought I had tuned in to the longest cold open in the history of Saturday Night live. Eugene Volokh is his calm and sensible self on the question of long-past misbehavior. His respondents at Reason also raise reasonable objections to being even-handed and sensible, arguing that Democrats won't stop and "The best way to get a bad law repealed is to enforce it strictly?". IMHO, if the apology for the picture on Friday and the disavowal of the picture on Saturday are baffling. If people think that on Saturday morning the governor decided on a strategy of bald-faced lying, well, yes, then you have to believe he is psychotic and delusional. If, on the other hand, you think he panicked on Friday and realized he needed to pound the table in defense of his once-good name on Saturday, well, maybe. Obviously, politicians lie, but they also panic. My question is, what's the rush? Is the governor signing controversial bills this weekend that the Lt. Governor would veto? I doubt it. Only two weeks ago the right was enraged that the media piled onto the Covington kids with no atempt to gather facts and reflect. Two weeks later, here we go again. Of course, the right could thunder away to their heart's content about Northam and nothing would change, as we saw with the controversy about his abortion comments. Democrats are happy to pile on because (a) they are in a furious contest to be Wokest Democrat EVER and (b) this is a free shot at the hoop since Lt. Governor Fairfax is totally acceptable ideologically and cosmetically. Things only escalated on Wednesday, when Gov. Ralph Northam was asked about the uproar during an appearance on a radio show. Northam, a pediatric neurologist by training, spoke about what actually happens when a woman goes into labor with a fetus that has severe deformities and may not be viable. The infant, he said, would be delivered and kept comfortable, and the family would decide about resuscitation. Northam appeared to be pointing out the absurdity of Gilbert’s hypothetical, since even in grave circumstances, no one gets an abortion on the delivery table. But as a clip of the interview went viral, conservatives, including the Republican senator Marco Rubio, began accusing Northam of supporting the murder of newborns. It was the right-wing version of an online outrage mob, warping the governor's innocuous comments into a callous declaration of evil. The discussion would NOT be about whether to kill the infant; the discussion would be about what heroic interventions would be employed while a severely deformed infant with a life expectancy of minutes or days managed to survive. In that sense it mirrors end of life discussions for the elderly and ill. Do Not Resuscitate? Electroshock to restart a failing heart? Feeding tubes? When should the family and physicians let nature take its course with a ninety year old or a nine-minute old? And one never knows - this baby held on for a week and the family was happier for it. Look, I have no problem bashing Northam for the actual abortion bill. However, his critics don't need to gild the black rose by misinterpreting his comments, willfully or inadvertently. And as was emphasized yesterday, Gov. Northam may not be the best spontaneous communicator of the current political class. OK, THAT was a cheerful post to start the latest holiday. I suppose the national hatefest can resume just before gametime when we see whether the network broadcasts the national anthem and we can boo/cheer whomever is kneeling/standing. Then we'll pick it up again at halftime when Maroon 5 panders to the crowd that thinks they should have joined the boycott. This will be the first game where I look forward to the endless booth reviews. First. I don't care who wins or, I should say, I hope the Patriots lose and lose badly but I have no particular reason to be hopeful. If the Pats were 10 point favorites I'd go Rams, for sure, but getting 3 doesn't seem enough to forestall some Brady magic (gads, I don't like that guy). So, to keep it interesting, I'm going to bet Under, which has dropped from around 59 to 56 but is still plenty high as an under/over. I'm hoping for a sloppy game, plenty of turnovers, uninspired play call, and a paucity of scoring. If the mess happens to include scenes of a much-sacked Brady with his head in his hands on the sidelines, so much the better. "the discussion would be about what heroic interventions would be employed ..."
Okay maybe that puts the onus on a claim the policy would result with "heroic" defined down about day 2. Don't see a lot of gild there myself. So whats the problem? The policy will save money and anxiety on a few doomed newborns but allow a somewhat larger number of infanticides with arguable health issues. Well it's a football day--and also a day to talk about babies born with severe defects. Real life story this season. Los Angeles Chargers player Brandon Mebane and his wife had a baby girl born in early November in Omaha. The child had a chromosome defect which meant the heart would probably not develop properly. Mebane missed several games to spend time with his wife and daughter. The child died at about age 5 weeks. Although Mebane was and is a very good football player, the Chargers and Mebane's team mates understood that careers are one thing--and family is another and more important. Mebane was and will be a starter and a very good lineman. You guys aren't being fair to Northam. He was only talking about defective babies with physical and mental disabilities. He didn't mean healthy babies. And who can object to weeding out the defectives before they become a burden to society and, more importantly, the state? His concern seems genuine and, in the truest sense, loving for our great nation. How else will our great nation, our fatherland, last for the next thousand years but by developing a great and triumphant breeding stock...perhaps even a master race, but by the miracle of eugenics! Everyone I don't like in the Democratic party pretty much is Hitler. Maybe, after giving birth, the doctor can decide whether the mother or the baby is more physically and/or mentally disabled, and use the pillow on the winner. I think the context that the pediatric neurologist put forth was one of the more innocuous examples he could present. Other examples of what abortion options are allowed go downhill fast from there. I think that is what the public furor is about. TM, US beat Costa Rica 2-0 in a friendly yesterday. I gave up on the Rams when they left for St. Louis. The corporate corpulent love fest really has no attraction to me except as mindless entertainment. Spending hundreds of millions of dollars on advertising to sell a few thousand extra cans of beer really doesn't make a lot of sense. I saw a Bud ad and they had the Clydesdales, the only decent thing about the brand, trotting past windmills and I just shook my head. It is their religion. Kill babies, worship Gaia. I think the discussion about disabled babies, was a description of the present , not what would happen under the proposed law. Under under the proposed law, the child could well be disabled only BECAUSE of the late term abortion. Pls correct me if I'm wrong. Is it practical to boycott New York? Public shaming? The discussion would NOT be about whether to kill the infant; the discussion would be about what heroic interventions would be employed while a severely deformed infant with a life expectancy of minutes or days managed to survive. That's a charitable reading. When he says "this particular example," he is referring to situations where "there may be severe deformities, there may be a fetus which is non-viable." It's possible he meant that "there IS a severe deformity AND (consequently) the fetus is non-viable." But the way he worded it is not so clear. It could be either/or/maybe. I'm going to play by Democrat rules and not give him the benefit of the doubt. And the next time the MSM and the Democrats display this attitude towards a Republican will be the first time. So sue me if I’m not ready to grant a pro-infanticide Democrat the benefit of the doubt that he would never grant to me. Very interesting, TM. I watched the presser and apparently "inadvertently" misconstrued his comments. Thanks for the correction, because it was very troubling. Deepest condolences, Momto2. Your devotion to your husband was well expressed. Condolences, Momto2, on your loss. May his soul Rest In Peace. Clarice, great Pieces today. Very clear and succinct writing. Something opinion journalism has hard time replicating. Whether there are 2 or 3 "health providers" "assisting" a mother with an infanticide decision makes no difference if they are all employed by Planned Parenthood. This is about making money. You are a wonderful person and a valued individual both in your home life and at this blog. Thank you for your prayers for my friend. You always think of others even when your pain is great. I liked the picture of the guys on their skates. Frederick is getting big. Maybe 6 foot or more? I am so very sorry for your loss. May God grant him peace and consolation for your family. Thank you for your prayers too! I'd like to know who wrote the bill. It obviously wasn't Northam or the co-sponsors. While driving down a rural road late at night, suddenly, a cow runs out onto the road, and the limo hits it head-on, causing the car stop. The woman in the back seat, in her usual abrasive manner, says to the Chauffeur, "You were driving, so you get out and check on that poor cow." The chauffeur gets out, checks what appears to be a very old but now dead cow, and tells the woman that the animal is dead, "Well, you were driving, so you go and report the accident at that lighted farmhouse over there." says the woman. Two hours later, the chauffeur finally returns, totally inebriated, his hair all messed up, and with a big grin on his face. "My God, what happened to you?" asks that nasty old woman. The chauffeur replies, "When I got there, the farmer opened his best bottle of single malt scotch, the wife gave me a meal fit for a king, and the daughter made love to me." "Well, I just knocked on their door, and when it opened, I said to them, "I'm Nancy Pelosi's chauffeur, and I've just killed the old cow." Let's hear from the real authors. He is getting big. Over 6 feet, 160 lbs. Works out everyday in the weight room, and is Wrestling for his winter sport. All those kids at Canterbury skate. They have 5 different hockey teams. 3 boys and 2 girls. Its a real New England thing. If moloch minions had not given 1.2 million to quilted northam If his this third contributor is amnesty's casa well maybe. Goes with the Mastercard/ Rock F links from the last post. Heard a story about a super bowl vip party where one of the invited guests said he would be unable to attend and pick up his gratuitous tickets personally, but would be sending his driver there for them. Also was at the airport last Thursday when an electric blue rolls royce suv was parked curbside by baggage claim to scoop up someone with a need for attention. More excitement among residents than I have seen since the 96 Olympics. I did notice when I was out walking and did a circuit near one of the train stations that people seem to be walking there and leaving cars at home. I guess they are going to try their luck at getting DT to the park or to midtown. And to anyone who watched the nfl honors last night, the city of atlanta came very close to letting that beautiful historic theatre be torn down for a utility HQ. The acoustics there at the fox are so good that the rolling stones once did a concert there to record a live album. The pipe organ is known affectionately here as Mighty Mo. I want a list of the "severe deformities." I am especially sensitive to this because my daughter was a cleft lip and cleft palate. Three surgeries and 4 years of speech therapy. It is not inconceivable to me that our insurance company at the time would have looked at an abortion as a money saving procedure. Because I follow a lot of Right to Life people on Twitter, my feed is full of children born with spinal dwarfism, Downs syndrome, congenital deafness, etc. All are happy and well-loved. Every life has value. Sometimes it is a surprise in what those with handicaps can actually accomplish; sometimes it is what they can teach us about patience, faith, and love. rse, they can cause (are causing) a lot of harm. Plus they will fail. I ran out a while ago to Kroger and on the way the local radio was interviewing some guy from Maine who has been to every single Super Bowl since the very first one. He's now 83. I got to thinking about that first one and the fact that it has been over 50 years of these makes me feel really old! Yes, MM, I was wondering if Downs Syndrome is one of those "severe deformities" that makes a newborn subject to the death panel. We have good friends who didn't know till the baby was born that he had Downs. Not that they would have considered letting him die, but they were devastated at first. Now they consider that child the greatest gift they could have received. I read that it was NARAL who wrote the bill. The lady standing beside Tran when she presented it to the Committee, was a representative of NARAL, and had to answer questions Tran couldn't. Blech. For a game between the hated Tommy Boy and a team that's only there because of poor officiating. I may not even watch for free. I saw someone else mention that, Jack. So NARAL's motivation is to address the 1 in 10,000 severe deformity at birth issue. Pretty nice of them. I wonder if they were invited onto any of the Sunday shows to get some good press over that. I haven't watched in in over 5 years. I am not a big football fan. However, since the Rams have made a big deal out of not visiting the White House, and since Brady, Bellicek and Kraft are friends of the President, I am rooting for the Patriots just because it will piss off the left if they win. "Only two weeks ago the right was enraged that the media piled onto the Covington kids with no atempt to gather facts and reflect. Two weeks later, here we go again." Although I didn't hear if any right wingers calling up the VA Board of Medical Examiners to have the Gov stripped of his license. Or calls to shut down any partners in his former practice. Or bomb threats to his accredited hospital. Righties May be too quick to condemn (or not) but nowhere near as weaponized as the left. I got to thinking about that first one and the fact that it has been over 50 years of these makes me feel really old! News Flash: we *are* old. However, it occurs to me that Northram knew the guy in the plaid pants and blackface, so if he isn't the one in blackface then he is the one in the KKK outfit. Yes, I know we are old. It's just that most of the time I am not hit up the side of my face with it. I usually don't think about it. Covington kids was an "untruth" from the get go, and based on a highly truncated video. The NY and VA abortion bills are as close to infanticide you can possibly get politically. I don't see the right's reaction, and commendation, anything close to the Covington incident. The bills speak for themselves. It is a matter of truth versus a libelous untruth. Northam - "When we talk about third-trimester abortions, these are done with the consent of the mother, with the consent of physicians, more than one physician by the way,"
Clarice is right. That is the present law. NARAL's bill got rid of "more than one physician". It's just that most of the time I am not hit up the side of my face with it. I usually don't think about it. Nor do I but I get reminded of it when I shoot baskets with the Hater Tot and then have a really sore back afterward. I think that would be NARAL. Their lawyer was there with Tran to answer questions...but even she did a lousy job. "It just so happens that when she couldn't answer questions about her bill, she turned to NARAL lawyer Galina Varchena to explain it!" "Asked why it would be necessary to kill the baby rather than deliver it when the mental/physical health of the mother is the factor at the end of a pregnancy, NARAL's Galina Varchena didn't know but promised to find an article she saw on the internet once about a case in Ireland." I'm quite a bit younger than you guys :), but lately I've started to feel it a bit more after I play tennis. In fact I had to take a bit of time off due to some back pain, and do a lot of stretching. It's better now, but only 90%, and my hip is also a bit sore. It's 49 today and I'm going to play outdoors. We'll see how it goes. and I think it is time to start treating many non-profits as the businesses that they are. It is ridiculous that they are treated as charity groups. What the hell, MM?--it's far from clear that those are the same pants (which were regrettably somewhat popular back in the day) . A photo of somebody wearing plaid pants at another time proves absolutely nothing, and seems like an unfair basis to drag the other guy into this. Define the term. Be specific. With many heartbreaking deformities, the baby will only live a few hours or days. How about showing loving compassion for the child's bit of time here on earth? The youthful and wise beyond his years jimmyk. For daddy, when he checks in. 213,000+ mph orbiting the Sun. Will get up to 400,000+ mph the closer it gets to its gravity field. The Covington kids were teens. Northam is an elected official in his 50's or 60's with a long political career. And a history of racism (refusing to shake the hand f his black opponent after a debate) who also used false and ugly accusations of racism in his most recent campaign. So he's a more newsworthy and legitimate target. Oh, and the offending pictures WERE on HIS yearbook page, with HIS NAME right there on the top, so it's not like there's a lot of room to misinterpert it. Other than that, you're right, it's exactly the same! Stephanie that might be the best one evah! My best friend from law school - who I'm still very close to, has gone to every Superbowl the Patriots have played in, and I think a few more. I texted him this morning and asked him if he was in Atlanta. He is with his 2 sons and his wife is arriving later. He's earned every bit of it, and is a fantastic dad (also has 4 girls) and I think a great husband. But I do think it's about time he took me!!! Good news on the snow thrower starter motor front. It warmed up to 35F today so I gathered up the tools I thought I needed and went out to the detached garage to investigate. I took the motor off without much trouble and steel gear on the motor and the gear teeth on the flywheel look fine. I squirted a little bar oil on the starter motor gear shaft because it seemed a bit stiff. Put it all back together and it's working again. We've got snow forecast Mon-Thu so maybe I'll get to find out if I really fixed it. In spite of my best planning I still had to make 5 trips back to the house for other tools and whatnot. The lines in the pants are pretty similar, and fall in the same places both horizontally and vertically. Also the belt buckles are both misaligned to the wearers' left, and their hair seems to puff out similarly, not that that was uncommon in those days. From this pic, Northam is quite a bit taller than the man in plaid. Good afternoon! Okay,Patriots haters! This morning at Walmart I saw a little old lady using her walker dressed in full Patriots regalia.Tri-cornered hat with a flag and a Pats t-shirt. I gave her her a thumbs up,just because she made me smile. I didn't check the height. boabuilder is right in that I don't have enough evidence to drag the guy in the group picture into the whole controversy. However, I do think the plaids are very similar. Given that the group photo was taken in the mid to late 70's, the plaid wasn't that unusual. Who knows? I did want to clarify that the plaid pants guy was NOT Northram, unlike what was claimed on Twitter last night. An interesting bit from Cecile Richards testimony before Congress in Sept. 2015. Matt Walsh comment at the time - "Things only got worse for Baby Killers R Us from there. When asked if a child born after a failed abortion would be provided care, she said she'd "never heard of that circumstance happening." It was a fascinating statement considering abortion survivors just testified in front of this very same committee. I guess denying the existence of people who were just in the room was, in her estimation, a better strategy than admitting they'd let the child die right in front of them, as Planned Parenthood officials have testified in the past." Richards: I’ve never heard of such a circumstance happening." Mom2--My heartfelt condolences to you and your family. Can someone, anyone point me to one instance that the progs and baby killers have earned one scintilla of benefit of the doubt? This is not a debatable point; there are no natural, divine, logical or even practical limits to prog ideology. It is the nature of man to run amok and leftism is the celebration and the complete unleashing of the nature of man in all its horror. Does anyone think a group of savages that illuminates the top of our most iconic skyscraper in celebration of legalizing baby murder is a group that has not filed and waxed their runners for the fastest, most glorious trip down the slippery slope to hell? They don't even pretend to pave the way with good intentions anymore. They lubricate it with the blood of the slaughter of the innocents and they cheer about it. And we're supposed to pay attention to some postage stamp of an excuse about severely disabled babies applied to this sucking chest wound of a party and ideology? Progs don't believe in killing babies [and anyone else inconvenient] on whatever whim at whatever age and for whatever expediency they claim in the same way they only want common sense gun control, not gun confiscation. They're liars and they're ideology is always eventually and inevitably totalitarian. Period. If you think otherwise you're in for as rude an awakening as the Czar, the Weimar Republic, Chiang Kai Shek, Batista, and currently, Venezuela, Zimbabwe and very soon, South Africa. hoyden, next time you're in CA I've got a few small projects I can hand off to you LOL. Janet, I wouldn't expect more than lies from PP. Would you? Sooner or later, as I have said before, someone is going to press homicide charges against anyone, doctor or certified baby killer (abortionist), and when that happens it will bring in new but responsible debate. I believe the only one with status for that is the father. This people have just made it easier to criminalize the practice. 1. Status quo, with 400,000 illegals apprehended per year. My impression is the numbers of partial birth abortions and survivors "perishing" are much greater than the statistical incidence of conditions described by Northam. If one suspects he knows that to be true, it is not counter factual to infer in addition to being a pediatric neurologist he's also a spin doctor for infanticide or at least a policy most commonly used for that. His interview was not maliciously edited to mislead like the Phillips viral video, it is just prone to inference. "Ask the Russians if they have her emails" = Collusion ! "Some good people on both sides" = Neo Nazi ! Chuck Schumer was visiting a Washington D.C. elementary school and the class was in the middle of a discussion related to words and their meanings. So Mr Schumer asked the class for an example of a 'Tragedy'. Linwood PC. the attorney group for the Covington students, has released a video about 15 minutes long. From time to time it is overlain with Phillips obvious lies, as well as the comments of the Black Hebrews. This is pretty devastating to Phillips and the news media, without any real accusations being made. This Boston goalie is incredible. My Caps can't even get close even when it is point blank. Ovechin seems totally confused by it. Good for the Bruins, my first team I rooted for when I was a kid. Tuuka Rask. Must be a Finn. Terrific goalie. Zinger has replaced Johnny Miller, who has retired. I love Zinger, his coverage is what the average golfer can appreciate, plus he brings the tactics of pro golf to the screen. That Nathan Phillips is really an all-time scumbag, isn't he? The things he said about those boys which was obviously false should be a reason to prosecute HIM for libel! Yeah he is but the media love guys like that. Scumbags Matter. Did only one doctor get paid or what? If I'm not being cynical I'd say it's hard to find three doctors to sign off on infanticide. Do they have to be pediatricians? That's a terrific video, and I'm so happy with the list of potential lawsuit recipients, a real who's who of a-holes. "Do you support this new legislation, and what was your reaction to the [Gov. 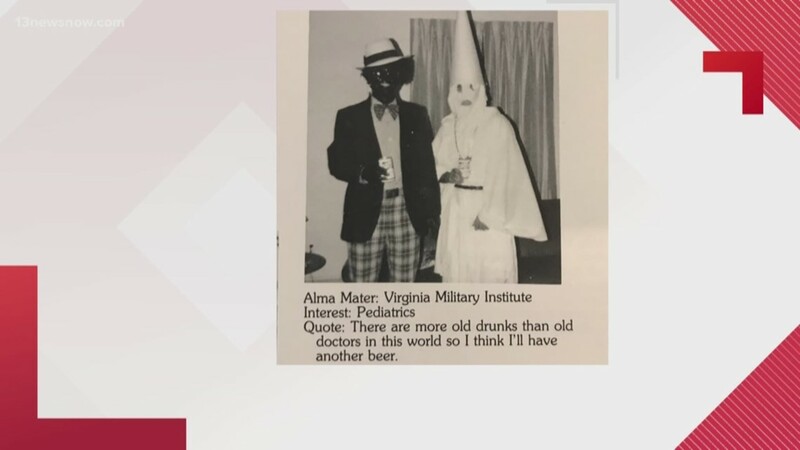 Ralph Northam's] comments there?" CNN's "State of the Union" host Jake Tapper asked. "Absolutely not. And I think Ralph misspoke on that," McAuliffe said of comments from the current Virginia governor. "No Democrat I know is for infanticide. None." Seems Terry agrees the proposed law legalizes infanticide. Commenter at Surber: when "Isis became Isisnt"
Why didn't Obama propose a law that said three orthopedists have to sign off on cutting someones foot off? You know they just do that to make ten thousand bucks, right? Why you build border walls, 101. Without any 2nd opinions a Dr. (or a technician in NY) could tell a woman anything. Having that requirement for the third trimester is a protection for the woman too. The abortion industry never looks at it that way. "One of the pro-abortion memes is that the decision to end a human life must be left to the Dr. & the woman....those 2 get to decide. Now that we know some abortion providers are harvesting baby parts for money....doesn't that raise questions as to the advice that women are receiving? The abortionist has a financial reason to steer the woman toward abortion. When discussing the baby with women it is just a blob of tissue...but when discussing the baby with buyers it is a baby with eyes, lungs, a brain, arms, legs, liver, etc." Global warming in Phoenix.Cold and Rain during the golf tournament. Really, in Phoenix, and the winter? My deepest condolences to you. Your caring for him was heroic. pretty sure the VA dems want the more radical Fairfax in office and McAwful would say just about anything to change the subject. or ... since this was one of the dems first proposals they are going to ram threw something similar. Shall we take Operation Chaos to the next level? Start messaging AOC and lobby for taking the profit motive out of the Abortion Industry. OK it might be a bad move to call for the Nationalization of Planned Parenthood but there has to be a wedge we can drive with the Occupy Wallstreet types. She's the perfect shill. Abortion execs in Lamborghinis etc. thinking half-time ... dems showing him even more dirt they have. I just read a Frank Bruni article in the New York Times, and I didn't mind it at all. Found the link at RealClear; the article is about how Tony Romo's broadcast booth skills are universally regarded as without peer.